Laura Poitras, an Academy award-winning film director and producer, just premiered her documentary that tells the story of Edward Snowden and her involvement with his exploitation of the NSA. This trailer for Citizenfour hints at the surreptitious and extremely dangerous correspondence between Snowden and Poitras. So tension. Much drama. Internet go swoon. Poitras has been involved with this story since the very beginning. In fact, she was the first to get ahold of the Snowden leaks. For those of you who are unfamiliar with Edward Snowden (is that anyone at this point? ), here's the rundown: Snowden, who formerly worked for the CIA and Defense Intelligence Agency, leaked a bunch of top secret, classified documents that exposed the National Security Agency as having more power over our private information than we ever knew. Snowden uncovered information about phone records, showing the NSA and almost every phone company have been in cahoots with each other for years; companies like Verizon had been providing the NSA with all of its customers' records. We learned that the NSA has been spying on world leaders in foreign countries, and was able to hack into Google and Yahoo data centers. 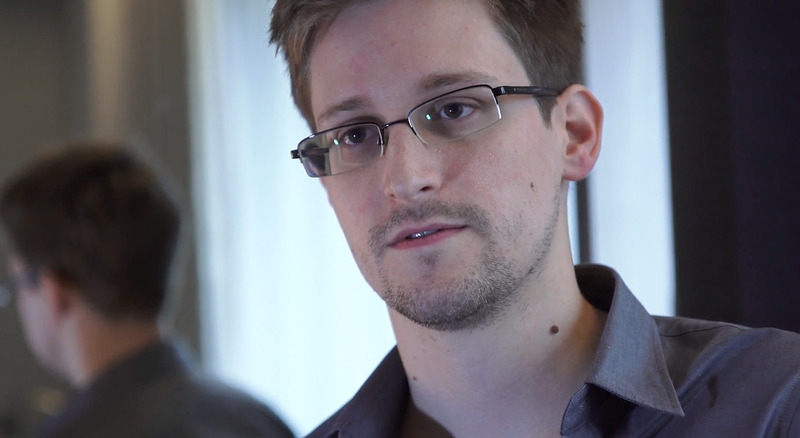 Essentially, Snowden showed America that Orwell’s 1984 was not too far from reality. Since all of this was highly illegal and Snowden did eventually reveal his identity, he was charged with espionage, and theft of government property, and had his US passport revoked. To avoid (a hell of a lot of) jail time, he dipped out of the country and now lives in Russia. *Exhales* Did you catch all that? No, this is not (yet) a Hollywood thriller starring Leonardo DiCaprio. Most interestingly though, Citizenfour also explores a “long-suspected second leak from within the NSA,” which is new and clearly shocking information. Supposedly, more leaks will be forthcoming from another individual who ranks even higher than Snowden, and therefore presumably has access to even more information. Snowden's jaw allegedly dropped when Poitras unveiled who this individual is. “I ask only that you ensure this information makes it home to the American public,” Snowden asks of Poitras in the clip.